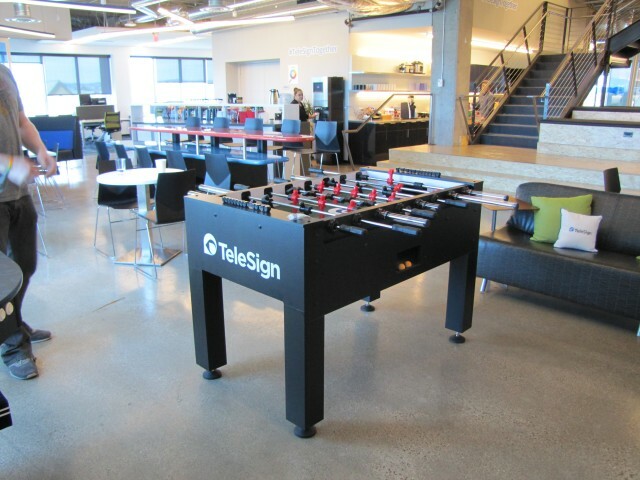 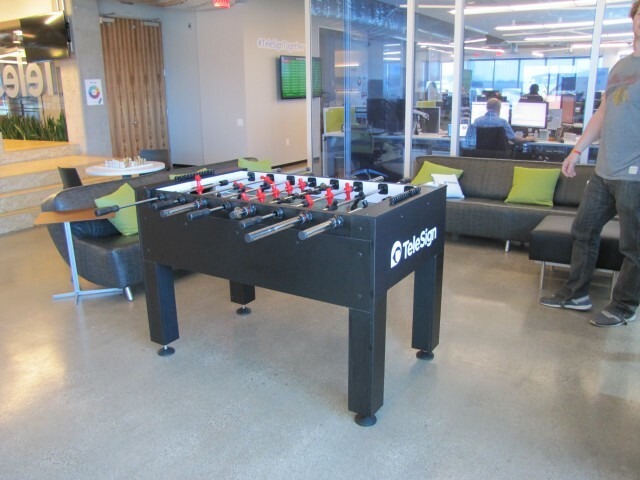 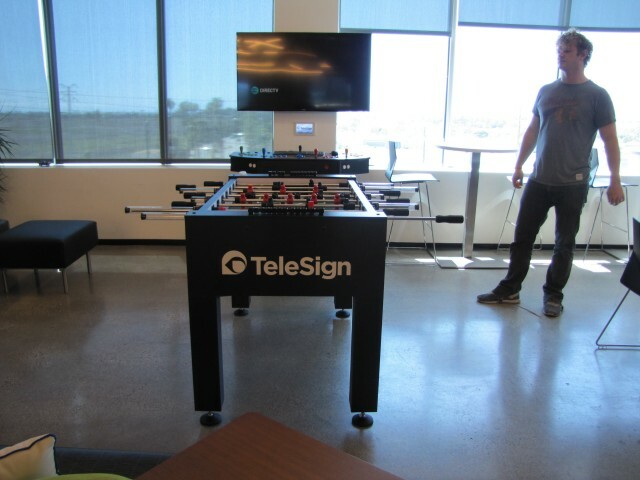 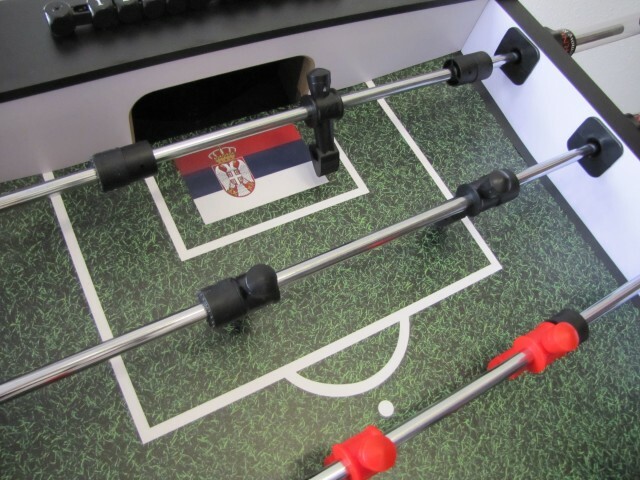 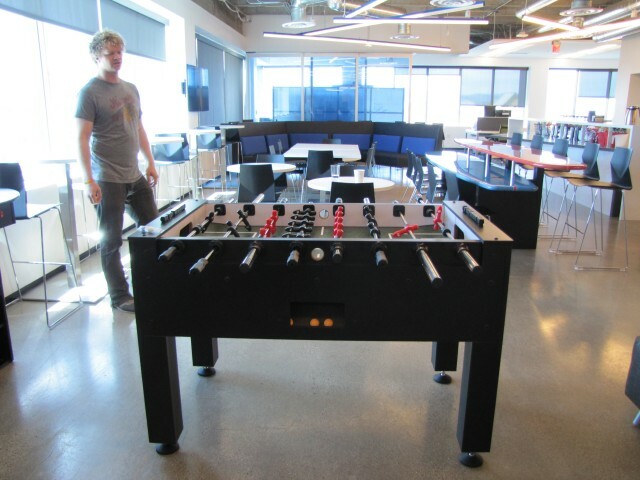 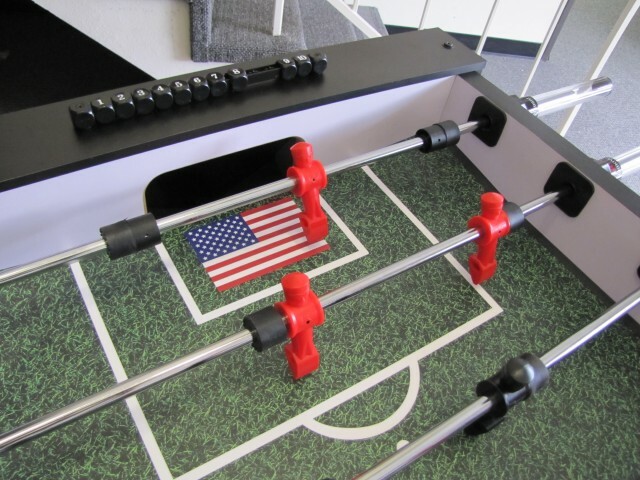 The Telesign custom foosball table made by Warrior Table Soccer features a custom playfield and custom ends. 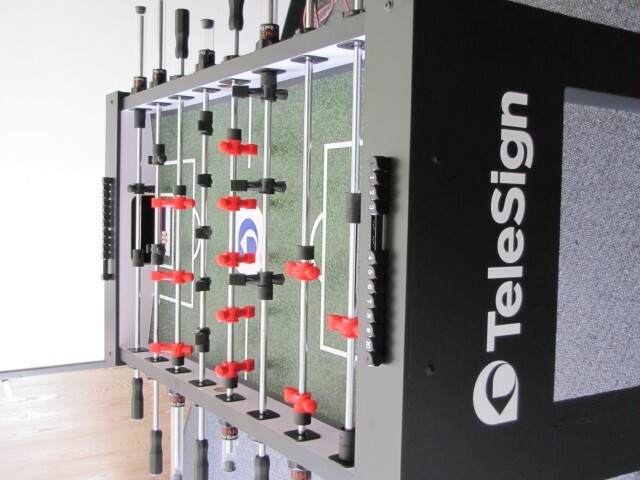 Combined with our Warrior pro foosball table and you have a great showpiece. 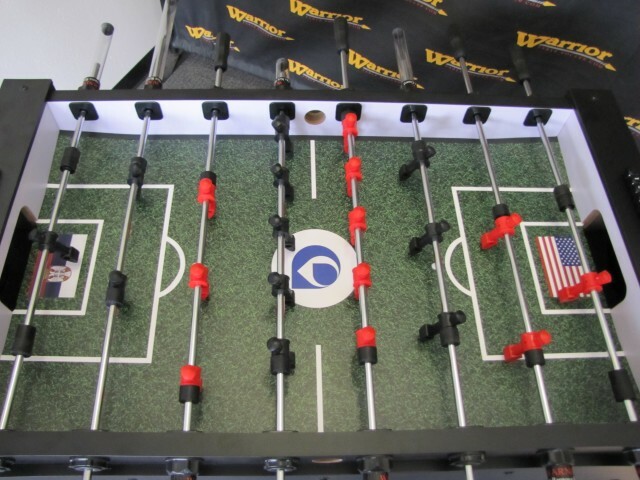 Get a chance to WIN a FREE* Warrior Foosball Table!